Usually this recipe is routine with cream cheese and known as Cream Cheese Strawberry Toast. As I would like to avoid the fat in the early morning I have replaced the cream cheese with Almond Butter which resulted in Protein Packed Power Breakfast when I served on Multi Grain Bread. I am sure, your breakfast will be ready in minutes :-) Check out the recipe and Give it a Try. For the little ones I have served the Strawberry along with some banana as Banana Berry Boats. 2. Apply the Almond Butter on Two Slices evenly. 6. Now get energized with this Healthy and Power Breakfast.Enjoy! Each Slice has 6 g protein and 1 Tbsp Almond Butter has 2.5 g.
This serves complex carbohydrates, good source of protein and fruit. For kiddos ( like my son), who does not pay attention to fruits, this is an easy breakfast to sneak some fruit in. 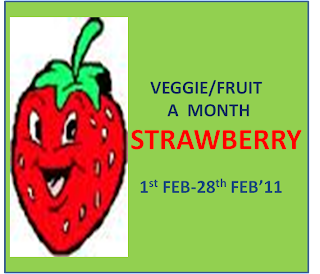 I am sending this to Veggie/Fruit of the Month - Strawberry event by Pari at Foodelicious, started by Priya at Mahro Rajasthan Recipes. 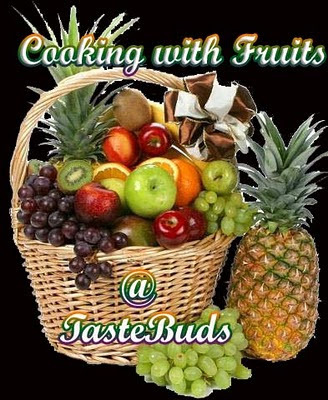 I am sending this to Cooking with Fruits event @ Taste Buds by Smita. I am sending this to B for Breakfast ARS Event at Women's Era by Charitha. Looks so divine.. 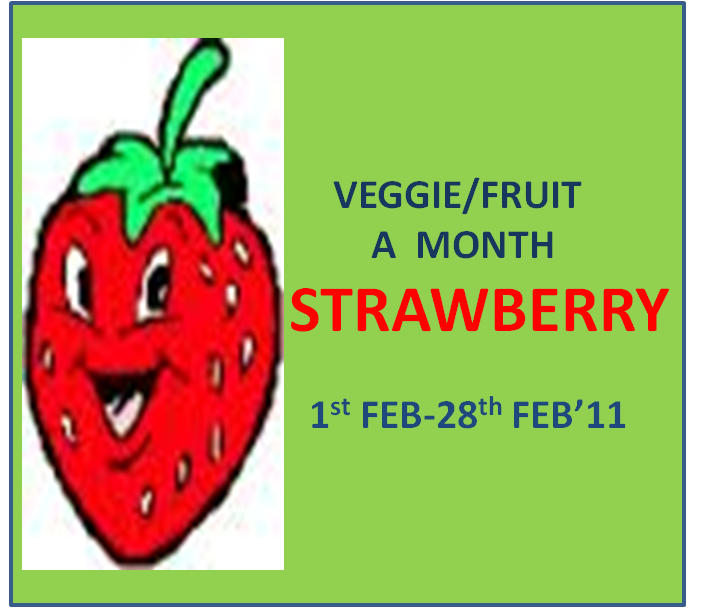 Packed with all goodness of whole grain and fruits... surely a winner..
strawberry in sandwitch different and healthy one..